How can our congregations be places of welcome for LGBTQIA+ folks? The starting point for that journey is learning how to discuss the nuances of gender identity and sexual orientation in order to provide a strong foundation of welcome. This two-part teach-in gives participants a vocabulary for welcome and offers fresh ways to discuss gender identity and sexual orientation that look for commonalities rather than categories. After purchasing the teach-in, you will be given instructions on how to download Parts 1 and 2 of Connecting the Dots. Each part is approximately 50 minutes long. Part 2 covers a more in-depth discussion of gender identity and sexual orientation and pronouns – including a practice on how to use non-binary pronouns. Product Purchase includes information on how to download Parts 1 and 2 of the Teach-In for 1-5 viewers. 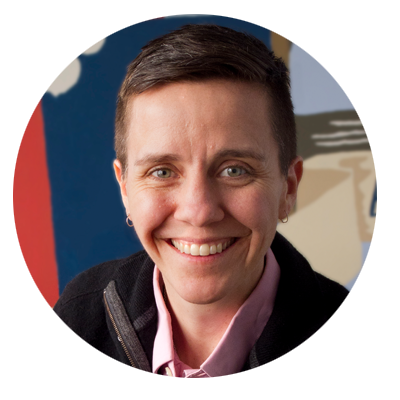 Check out Jess’s TEDx Talk on what faith communities can learn from spaces dedicated to LGBTQ-youth for more.